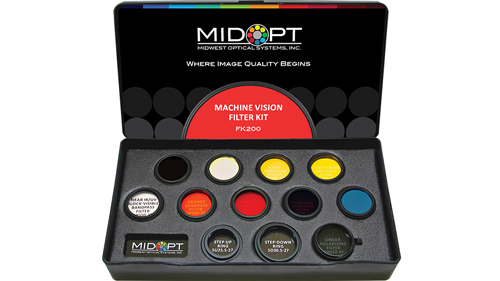 MidOpt™ provides filters, lenses and accessories for machine vision systems. 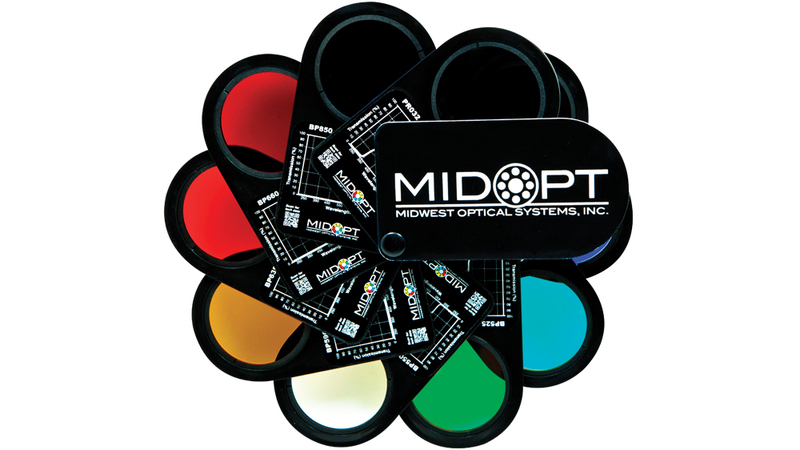 MidOpt Filters are available in shortpass, longpass, bandpass, polarizing, neutral density, IR and UV types. Most types and sizes are in stock for same-day shipping to anywhere in the world. MidOpt's machine vision filters increase the contrast of the subject under inspection, improving the ability of the system to distinguish desired characteristics. Increased contrast allows for increased accuracy and speed. Because lighting will change over time and ambient light is everywhere, MidOpt's filters create the contrast you need and continue to work to control your lighting in the long run. The Swatch Kit is designed to assist imaging specialists, machine vision integrators and end users in evaluating and improving image quality. Each kit provides a selection of filters useful in observing the effects of different colors, wavelengths, light intensity and polarization on images obtained with various types of commonly used industrial cameras and lighting. The options provided by each kit allow you to select a filter or filter combination that might best solve your application problems. 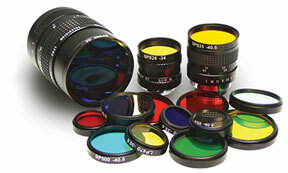 The FK200 Filter Kit comes with the ten most often recommended UV, VIS and NIR Machine Vision Filters. This compact test kit is an excellent resource for testing and evaluating image quality. R.R.Floody Company is a Midwest Optical Systems distributor in Northern Illinois, Iowa and Southern Wisconsin. We offer technical support to help our customers solve their applications.